Astral Spirits is proud to present the debut release from the Chicago based trio of BEN BAKER BILLINGTON (Tiger Hatchery, Quicksails, ONO, etc), MARK SHIPPY (US Maple, Invisible Things) and DANIEL WYCHE. These three have been playing together in various duo and trio formations for a handful of years, and we are thrilled to release the first studio recordings from this incredibly cohesive unit. This is free improvisation from a gleefully pure perspective. All three musicians keep their hands in various forms of jazz/rock/noise/experimental musics and it becomes quite evident through the beautiful racket of this self titled debut. This group isn’t about pedigree or posture, the trio relies on communication and ecstatic empathy that comes through loud and clear on this tape.. Sure, with a group boasting two guitarists and a drummer there is a certain amount of volume/noise present, but to call it noise rock, or free rock would belittle the process of Billington/Shippy/Wyche. All three improvise with forethought and purpose…and also it’s just a helluva lot of fun. Just ask the folks that got their minds blown recently at Cropped Out! 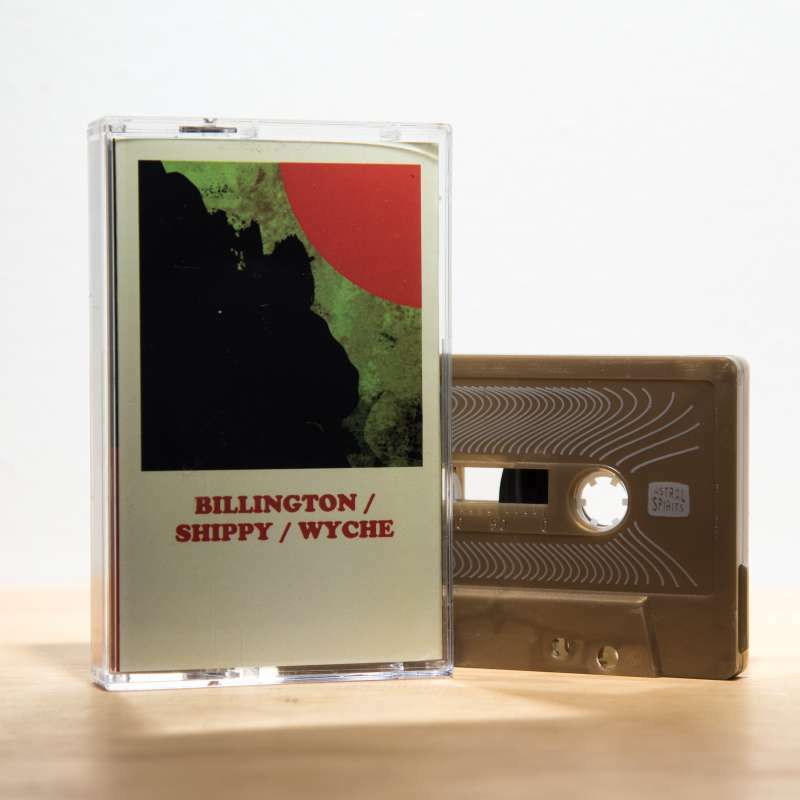 Billington/Shippy/Wyche is out September 22, 2017 in an edition of 150 tapes with digital download. Review by JORDAN REYES for DECODER MAGAZINE.